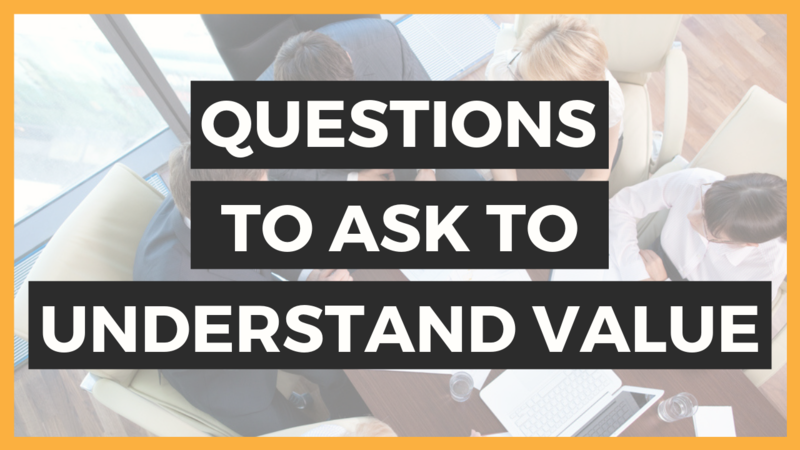 Accountants and bookkeepers that I have spoken to tell me they find it difficult to uncover what their clients value. There is a questioning process that we should be going through. We need to have a set of questions prepared to ask our clients to get to the root of their pain, to find out what they really want and what they really value. You can watch the video I did on this here. Start off with background questions. These are the questions we would often ask when we meet a client for the first time. We might want to know a bit about their background, why they got into business, what their goals are, what they want out of life. Those are the questions we are comfortable with. They are familiar questions. The next three sets of questions are the ones that are really important to uncovering what the client truly values. We need to drill down to what problems and pains the client is facing right now. What challenges are they facing in their business? What’s keeping them awake at night? We need to ask questions to uncover those, because the more challenges, pains and problems they are having, the more opportunities there are for us to solve those things and make a difference to their lives. The next layer of questions focuses on what the consequences of those problems are. We want to know numbers. How is this problem impacting on their cashflow? How is it impacting on their time? How is it impacting on their profitability and turnover? If possible we can estimate numbers and show them the extent of the problem. But we also really want to focus on the emotional consequences. How is it making them feel? Are they stressed, frustrated, tired? Is it giving them sleepless nights? Are they having more arguments with their partner as a consequence of their problems at work? This is the third tier of questions we would ask the client after uncovering the extent of their pain. What would be the best result for the client? How would they benefit if we were to fix their problems? What improvements would they see? Think numbers but also emotions here. Getting the client to tell you the results themselves also really helps to get the client to understand the value of the service you provide. By using this process of questioning you can really understand what the client is going through and work out what solution would benefit them the most. You can give them what they most value. 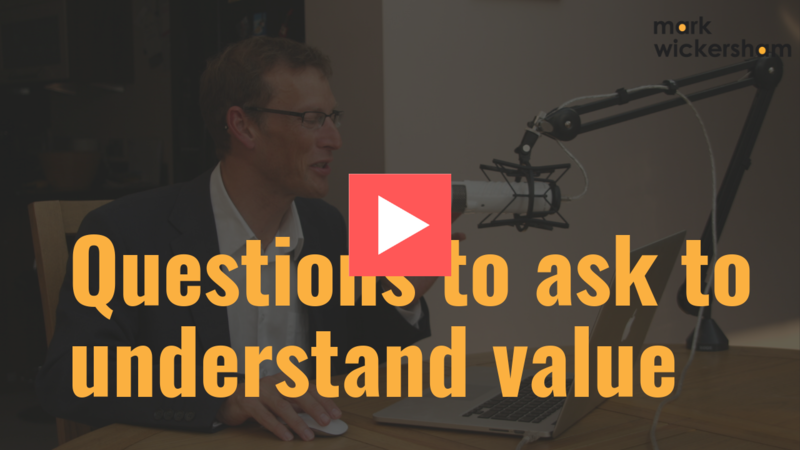 If you’d like to find out more about value pricing, I run a monthly training programme with online sessions every single month. It’s totally free! If you’re interested you can learn more about that here. And if you’d like to join a community of like-minded accounting professionals learning to value price then you can join my Facebook Support Group here. Wishing you every success on your value pricing.